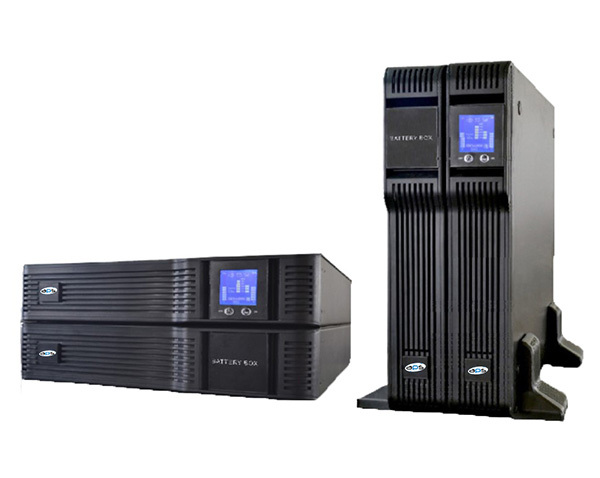 The APS-RT Rack & Tower UPS System is a line of advanced True On Line Double Conversion technology. The ingenious mechanical design allows for both 19”Rack or Tower configuration all-in-one solution. This allows the customer the convenience of flexibility when installing the UPS. A user-friendly revolving LCD display allows for the customer to interrogate the UPS, load and battery status. 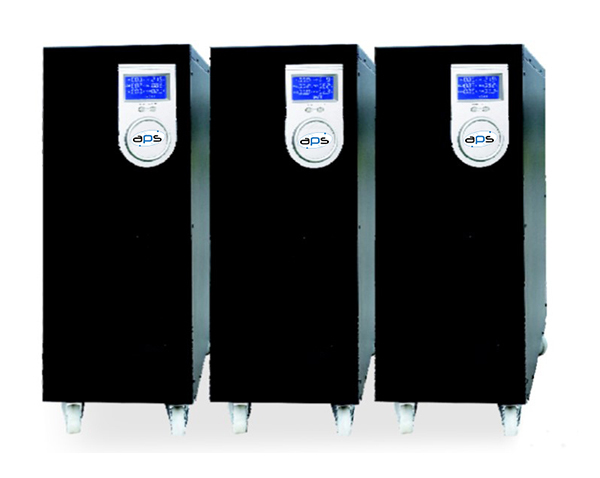 This system is offered from 1kVA to 20kVA with standard 5-10 minutes back up or alternatively for long duration back-up. 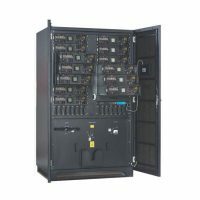 The APS-RT is an advanced, true online Uninterruptible Power Supply (UPS) providing reliable, regulated and stable voltage to any type of load, from computers and telecommunication systems to automated industrial control systems. 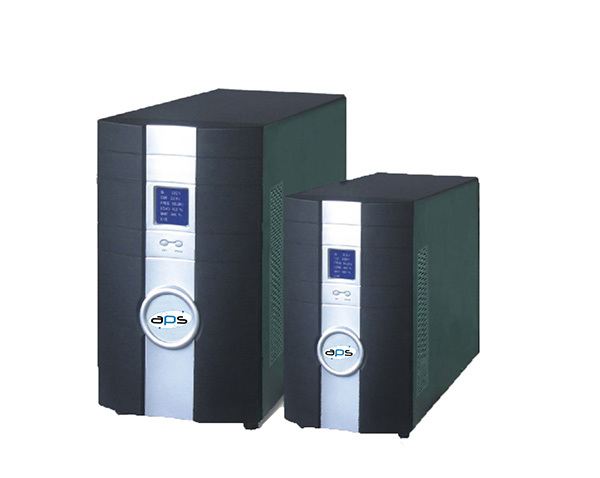 The APS-RT UPS is available in various models of up to 20 kVA. Voltage surges, spikes and sags are inherent in commercial utility power. Over time, these irregularities shorten the life of the equipment and components. 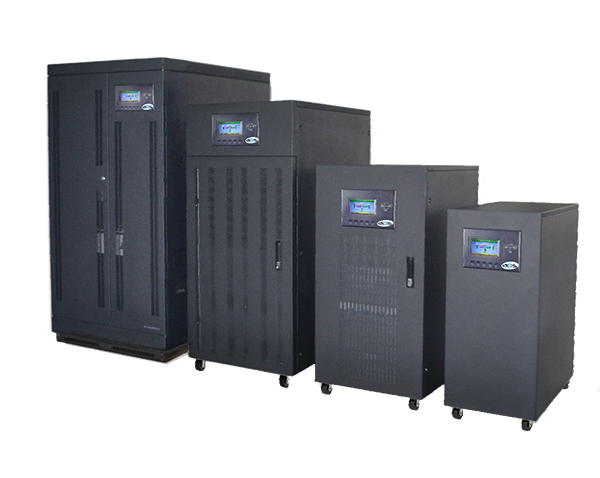 The APS-RT UPS continually eliminates power irregularities, thus helping extend the life of your equipment, even through normal use when the input power is constant and continuous. The APS-RT is designed so that it can be deployed horizontally or vertically. When deployed horizontally, it fits in a standard 19” rack, and is 2U in height. When deployed vertically, the control screen can be physically rotated 90 degrees for easy use in either position.